Connie Goldsmith writes about history, science and health for children and adults. Most of her books are published by Lerner Publishing's nonfiction imprint, Twenty-First Century Books. Her works include books about women in the military, the threat of global pandemic, animals in the military addiction, suicide, the U.S. Nuclear Testing Program in the Marshall Islands after WWII, and traumatic brain injury, among others. Her book, "Bombs over Bikini: the world's first nuclear disaster," was named a Junior Literary Guild selection and was an SCBWI Crystal Kite winner. 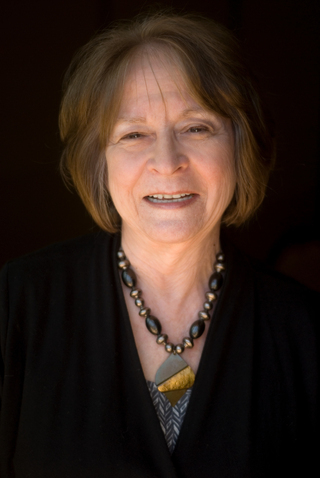 Her award-winning books have been highly praised by the American Association for the Advancement of Science, the National Science Teachers Association, California Readers, the Children's Book Committee (Bank Street College of Education), the Children's Book Council, and the Society of School Librarians International. As an RN with a master's degree in healthcare administration, Connie also has written continuing education articles for nurses on a wide variety of topics, and has written for other healthcare professionals, as well as a pediatric health column for a regional parenting magazine. She has had articles published in the children's magazines Cricket, and Highlights, among others, and has written for the SCBWI Bulletin, Children's Writer, and Children's Writer's and Illustrator's Market. Connie is a big fan of today’s young adult and middle-grade novels and reads one or two of them each week. Over the past fifteen years, she has reviewed more than 900 children’s books for a regional parenting publication, and many others for the New York Journal of Books (at: www.nyjournaofbooks.com). Connie is a member of the Authors Guild and an active member of the Society of Children’s Book Writers and Illustrators. She has served as Conference Coordinator for the SCBWI California North/Central Region. She lives near Sacramento, California where she hikes along the American River, sweats out the miles on her treadmill, and visits with family and friends between bouts of frenzied research and writing and playing with her crazy cats. Her 24th book came out spring 2019, and she is working on several nonfiction projects. My editor at Lerner asked me to write a guest blog about how I became a nurse and a writer. (http://lernerbooks.blogspot.com/2010/11/who-to-be-dr-eugenie-clark-marine.html). Here is that entry dated 11/9/10). When Domenica asked me to blog about being a nurse and a writer--and about my new titles in the USA Today Health Reports series (recently named a Top 10 Health Series for Youth by Booklist Online)--I jumped at the chance. I didn’t grow up wanting to be a nurse or a writer. What I really wanted to be was a marine biologist. Dr. Eugenie Clark, known as the Shark Lady because of her research on sharks, was my idol. She spent part of her career in Sarasota, Florida, where I went to high school. We had the nation's first high school marine biology program. We combed the beaches for horseshoe crabs and plucked sea urchins from the shallows. Back in the lab, we mixed urchin eggs and sperm and watched urchin embryos develop through our microscopes. Once, I needed some cash in a hurry, so I waded through the mangroves and collected buckets of fiddler crabs. Male fiddler crabs have one huge claw and one tiny one; they look like they’re playing a violin. I sold them to local fish stores and made enough money to buy the book I wanted more than anything: Field Book of Seashore Life, by Roy Miner. But I digress. Life happens, and I was not to become a marine biologist. So there I was, a sassy young divorcee with a toddler, one year of college, and working as a secretary. The local community college ran an ad: "Be an RN in 18 months." I began about ten years of working full-time and going to college as a single mom. I made my way through the RN program, the BSN program, then a master's in health care administration. Whew! I'm still catching up on my sleep. Becoming a nurse turned out to be a fortuitous career choice that I’d recommend to anyone. It's interesting, portable, challenging, and opens so many paths. Nurses can work in hospitals, doctors' offices, public health, home care, the military, and for health insurance companies. Also, nurses write. My decision to start writing professionally hit me as suddenly as becoming a nurse did. I wrote to the editor of a California nursing journal with an idea for a continuing education article for nurses. Since then, I've written nearly 100 feature and continuing education articles for that now-national journal, Nursing Spectrum/Nurse Week. Next, I started writing health articles for children’s magazines. I joined the Society of Children’s Book Writers and Illustrators (SCBWI) and found that a school & library publisher was looking for writers for a series on the brain. I'd been a neurology nurse and I'd written for children on neurology topics. The publisher was looking for me! Thus came my first book. The Sacramento Bee, my hometown newspaper, ran an article about emerging infectious diseases with a world map showing which diseases were spreading where. Ebola. Hantavirus. SARS--the first new disease of the twenty-first century. I love that stuff! From that article came my first Lerner book, Invisible Invaders. Developing a relationship with such a prestigious publisher is a writer’s dream come true.